This holiday season, I'm thinking of special meals to serve and lead up to the big holidays. 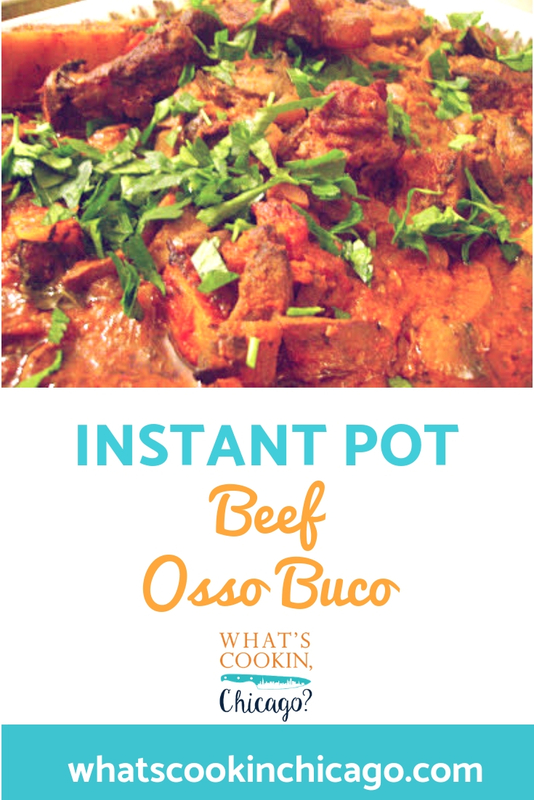 One dish I make on special occasions is osso buco. Traditionally its made with veal but I just couldn't pass up on the sale of beef shanks at my local grocery store. 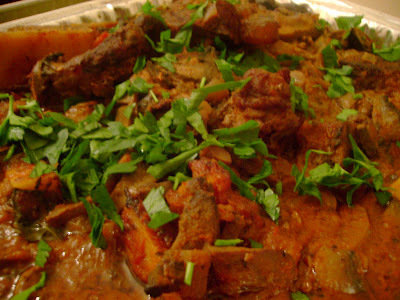 So this version is made with beef and it went well with my family... so much so that there were no leftovers! Press SAUTE and add oil; when hot, add garlic and onion, sauteing until softened. Season beef shanks with garlic powder, salt and pepper. Place seasoned shanks in IP and lightly brown all sides. Once browned, add wine and scrape bottom of IP to deglaze. Add remaining ingredients to the IP, stirring to combine. When the IP beeps after pressure cooking for 75 minutes, allow your IP to naturally release pressure completely. While naturally releasing pressure (also known as NPR or NR), the display will reflect numbers counting up from 1. The numbers indicate how many minutes the IP has stopped cooking since it beeped (or how many minutes it has been naturally releasing pressure). No need to touch your IP while it naturally releases pressure. The pin at the top of your IP will drop when all pressure has been released and it's safe to open. To serve, transfer beef shanks onto serving platter and spoon over sauce.